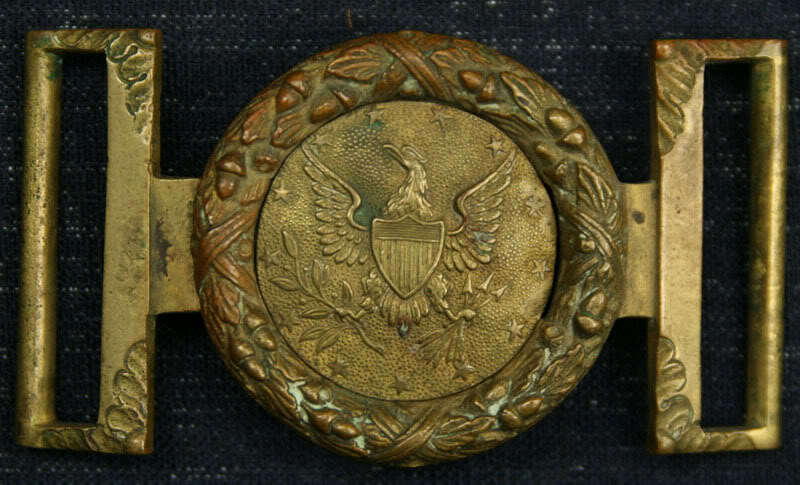 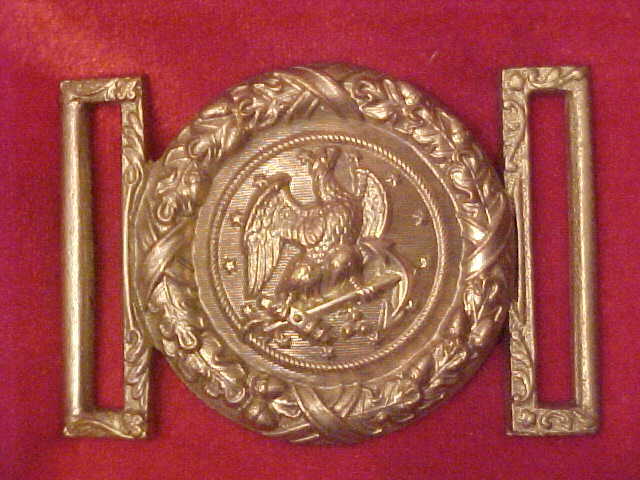 G - 33 Militia Belt Plate & G - 34 Militia Cross Belt Plate Circa 1851 - 1865 The two belt plates was used by the Navy and Marines. 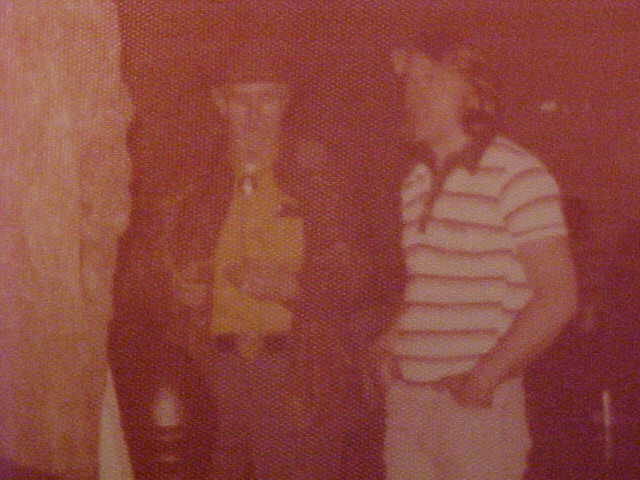 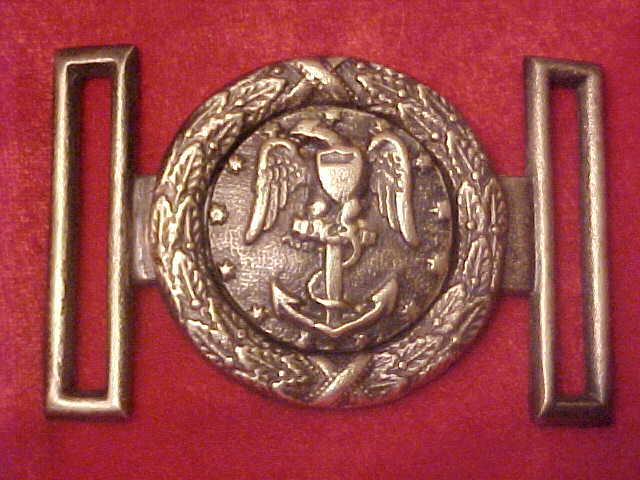 T 38 U.S. Navy Belt Plate Circa 1700's original dug Yorktown VA.
Mac Mason and Gary at the Richmond Civil War show 1960's. 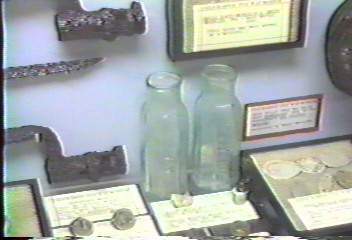 Mac was the first to let me copy a collection. 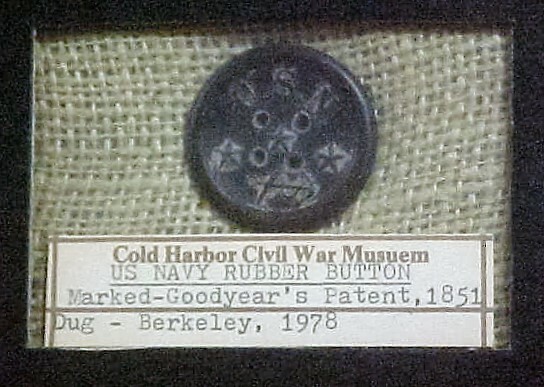 "U.S. Navy Salt and Pepper Bottle" dug from a Union trash pit on the James River on display in my museum. 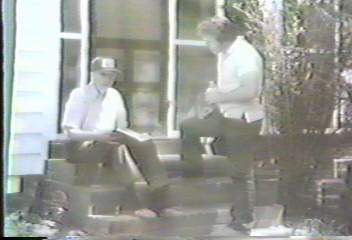 Talking to Mr. Adams about the 1864 Cold Harbor battle on his farm. 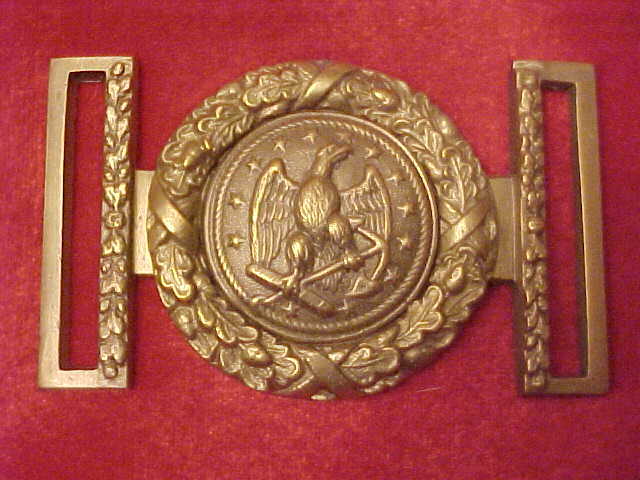 Same design as the G-18 but different center piece. 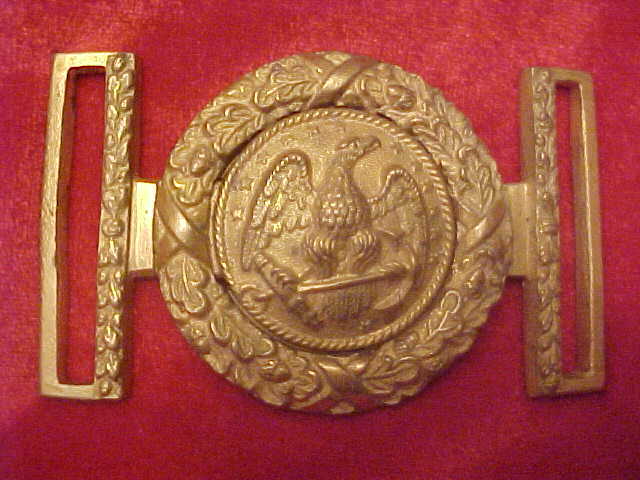 For sale under the Early Militia Belt Plates. 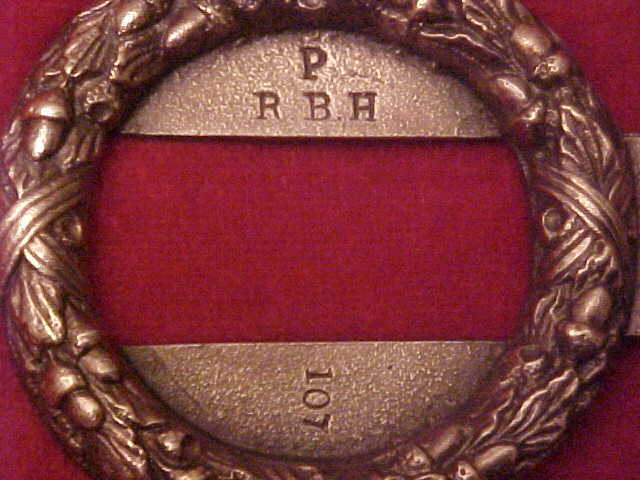 Inspectors mark and bench no. 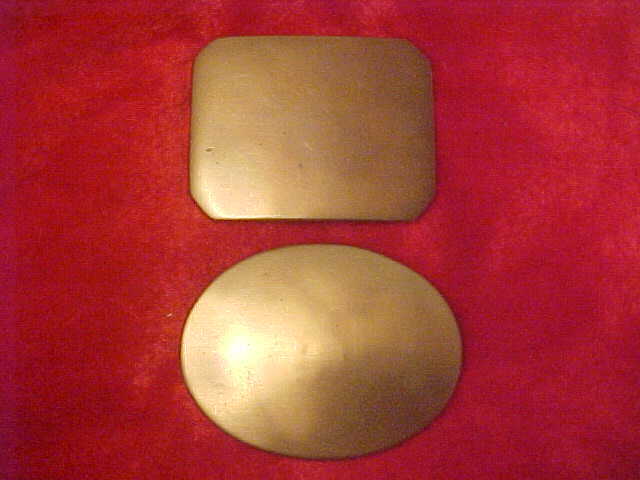 107 makes this G-18 plate rare. 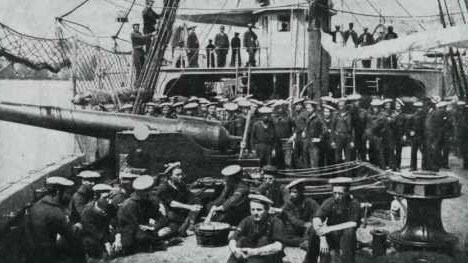 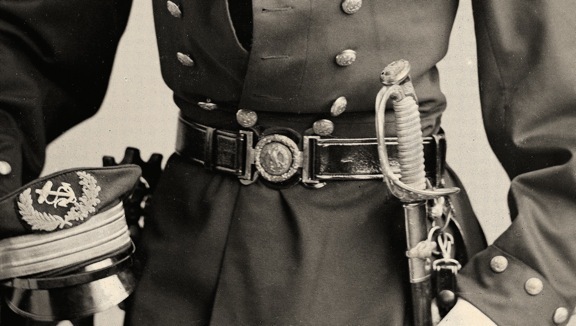 Protection (Dutch Gap) from the Artillery Gunboats on the James River. 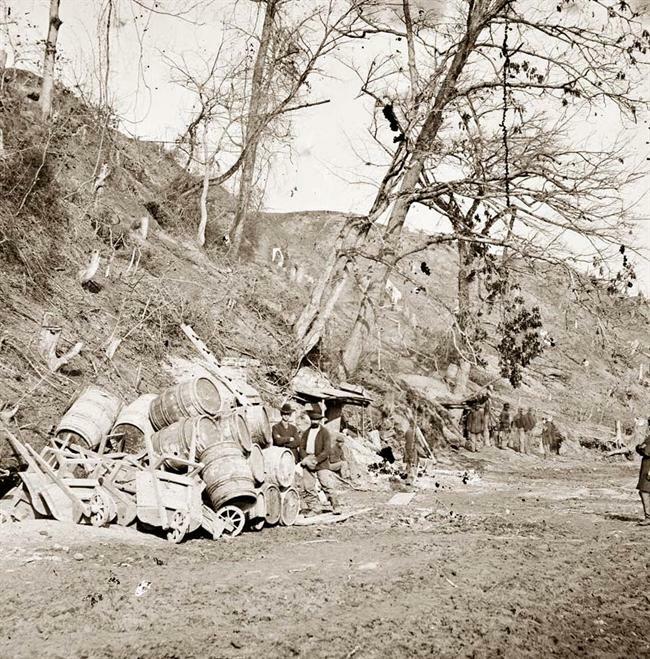 Dug several large shells and a fifteen inch cannonball from these hill sides. 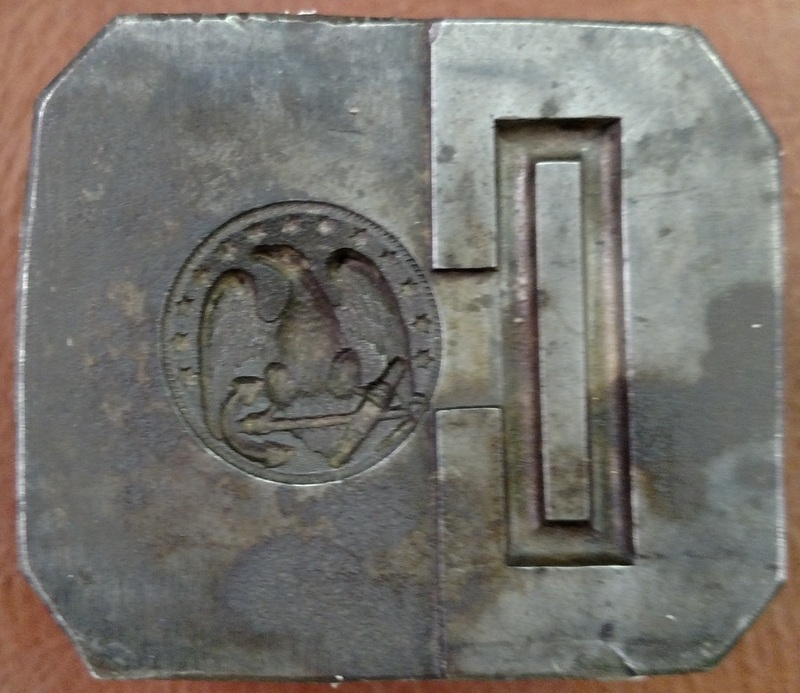 Original steel Navy die. 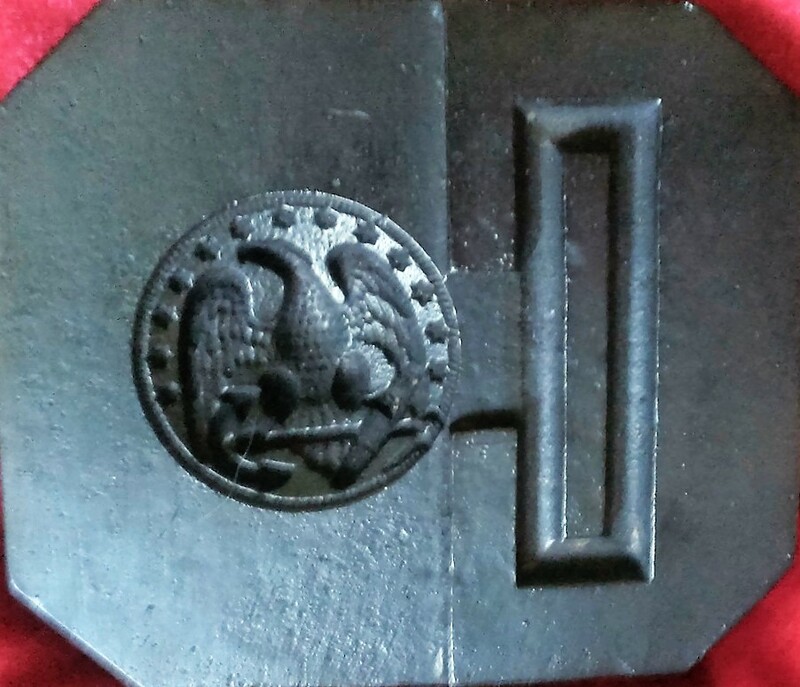 The Navy tongue was sand cast then struck in the metal die to sharpen the detail. 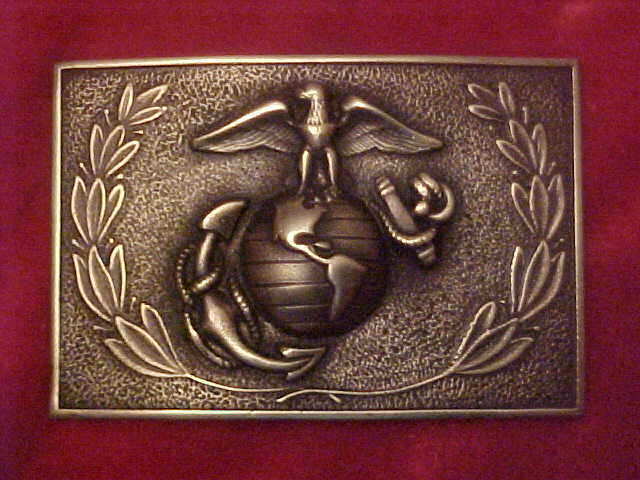 NAVYPAPERWEIGHT Navy Belt Plate Die. 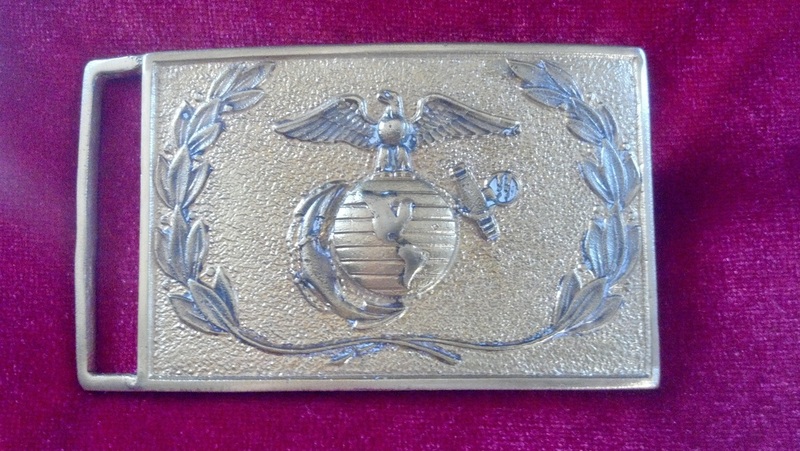 Brass Paperweight made from the above steel Navy die. 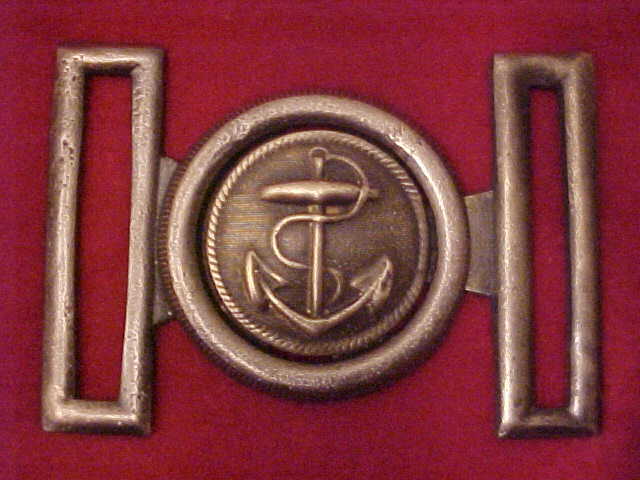 G-17 Navy Two Piece Belt Plate original found Fredricksburg, Va.
TG-(Navy Anchor Sash) Two Piece Belt Plate Original dug in a California gold mining camp. 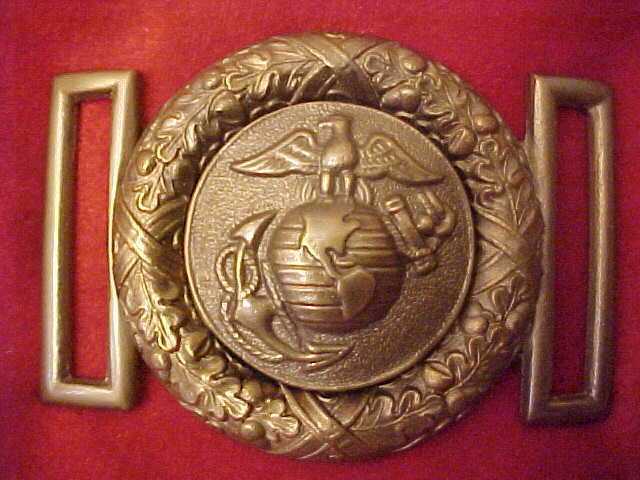 TG-1810Marine. 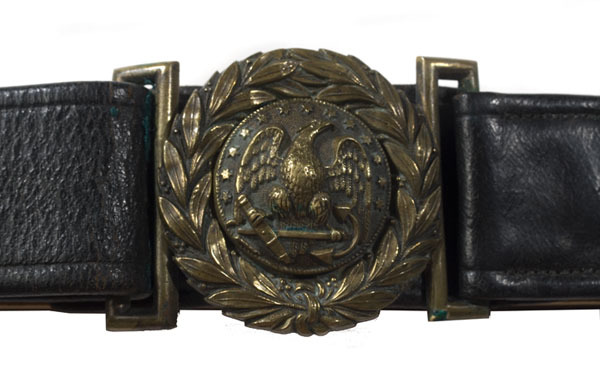 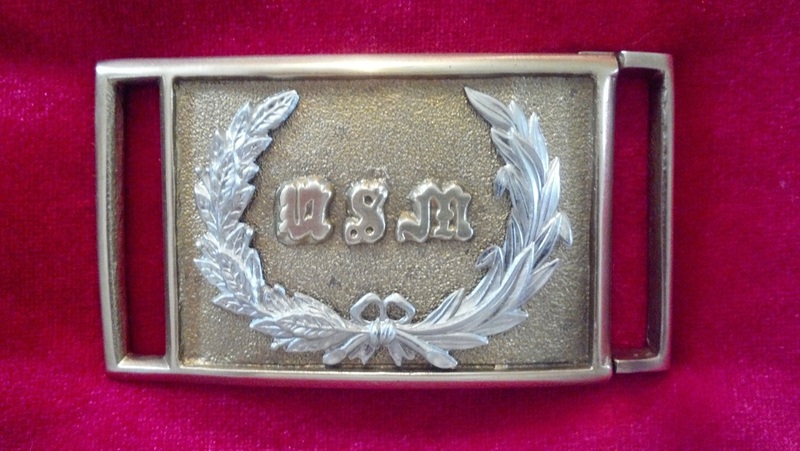 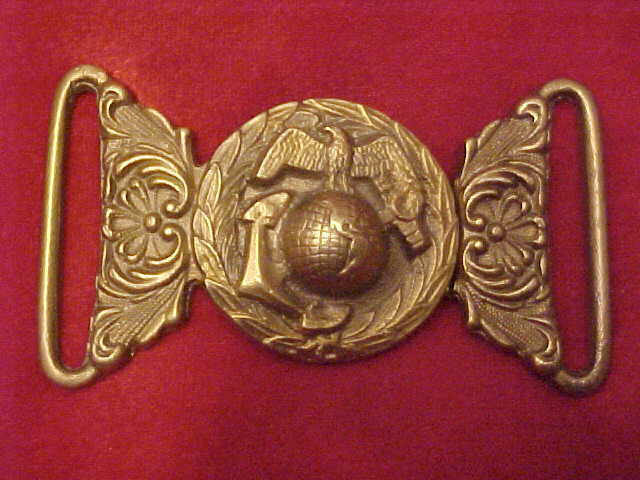 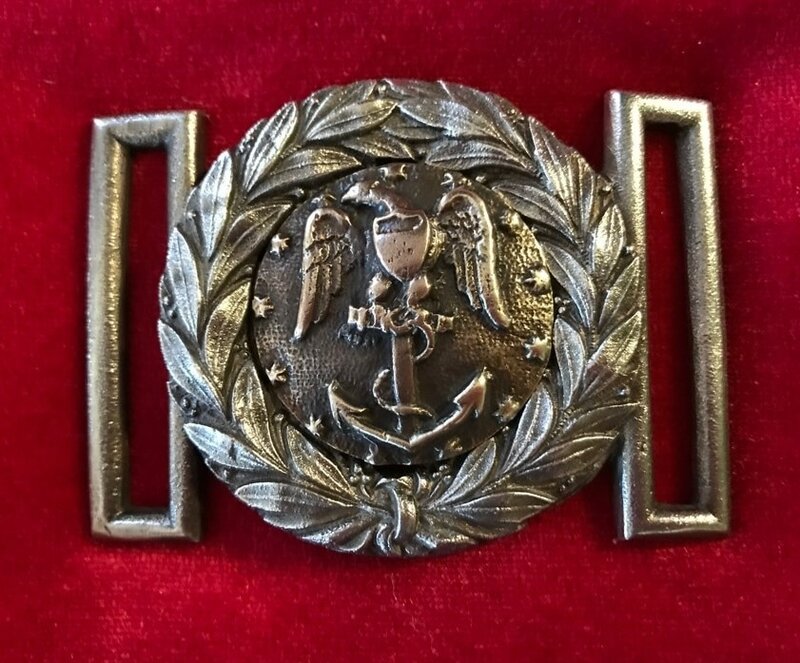 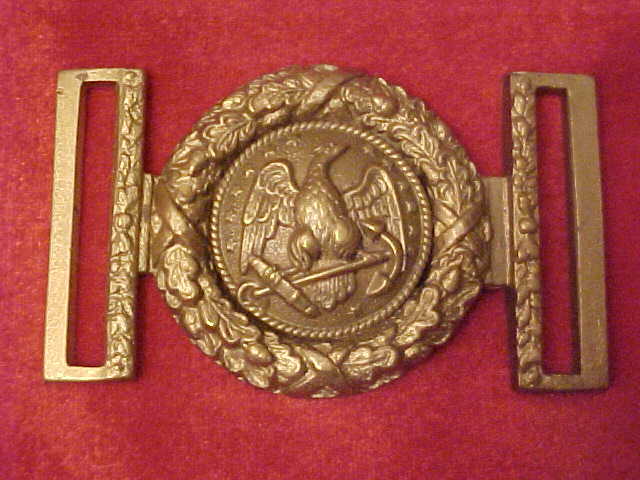 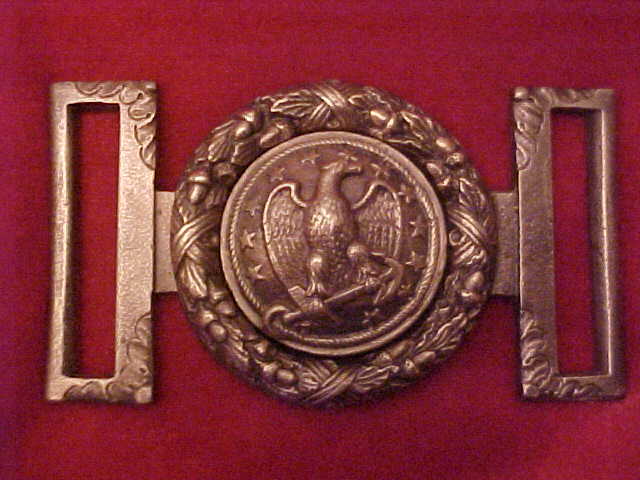 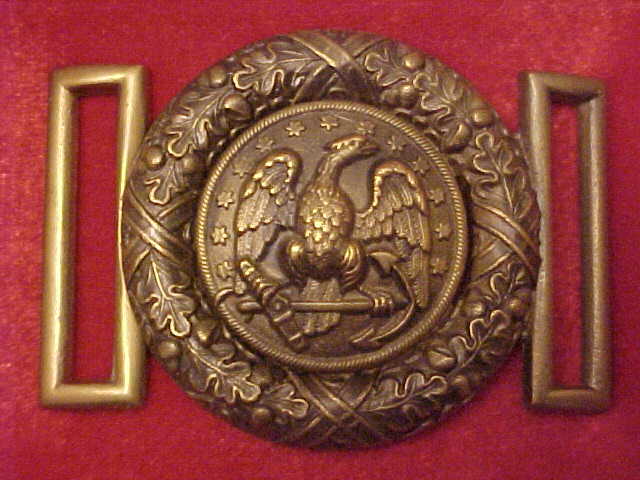 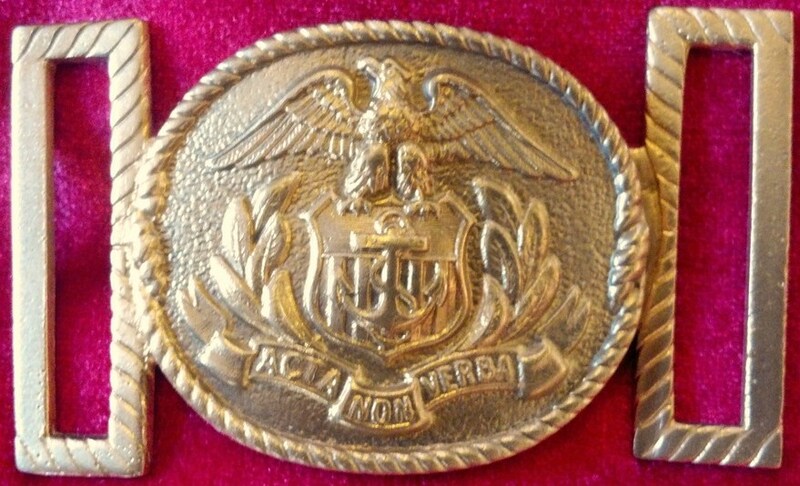 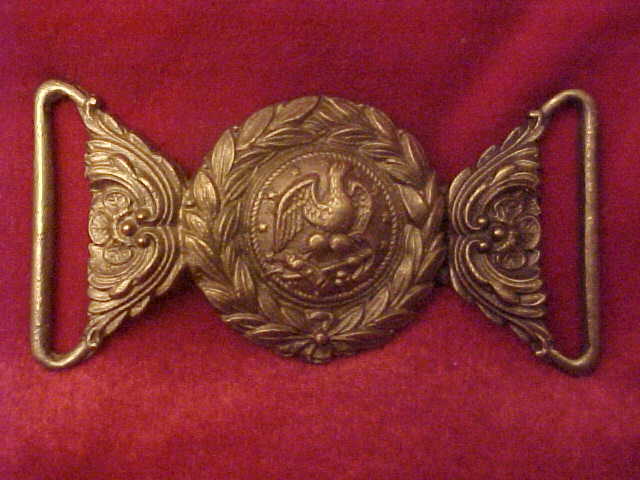 Marine Corps Shoulder Belt Plate. 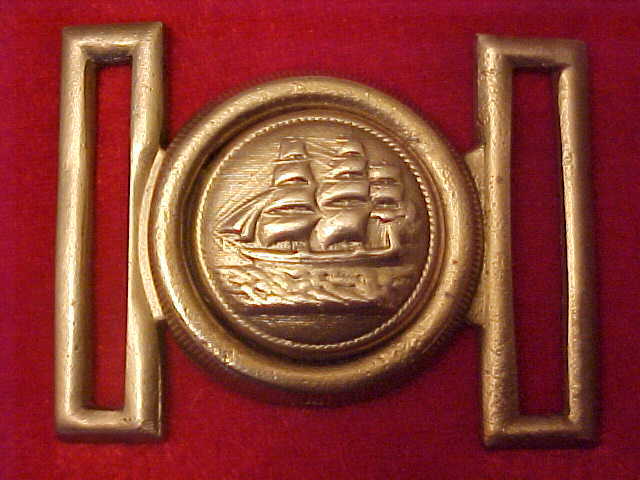 Circa-1810-1830. 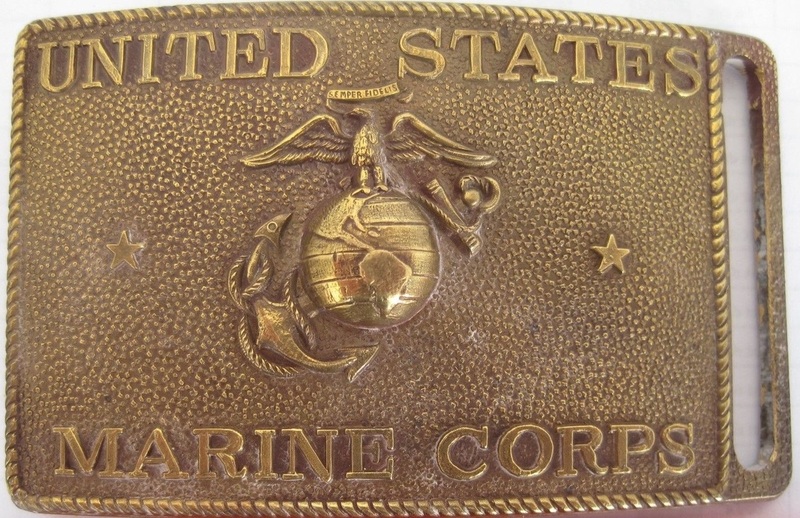 Sometimes worn on the Marine cartridge box. 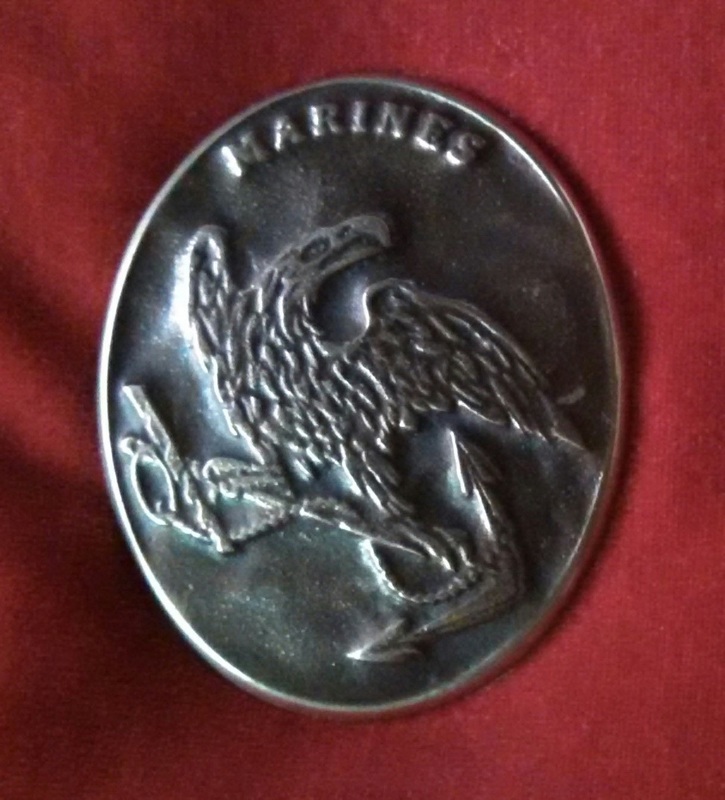 TG-1810Marine(2). 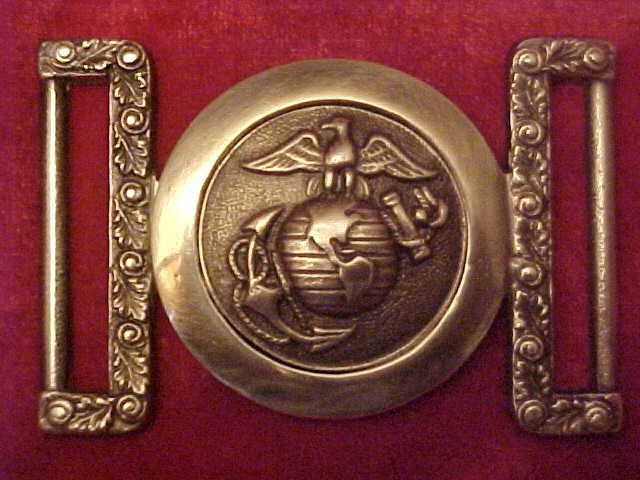 Marine Corps Shoulder Belt Plate. 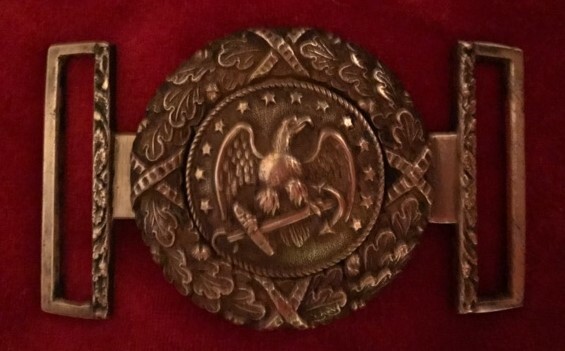 Circa 2016. 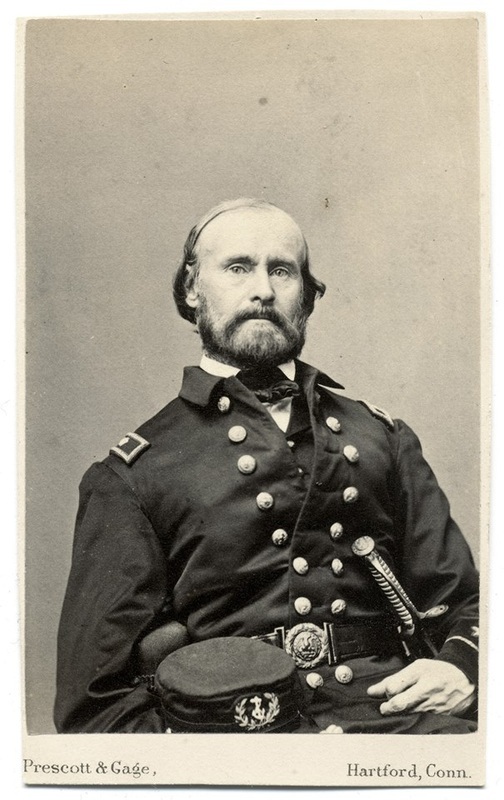 Photo engraved from a drawing and used as the master. 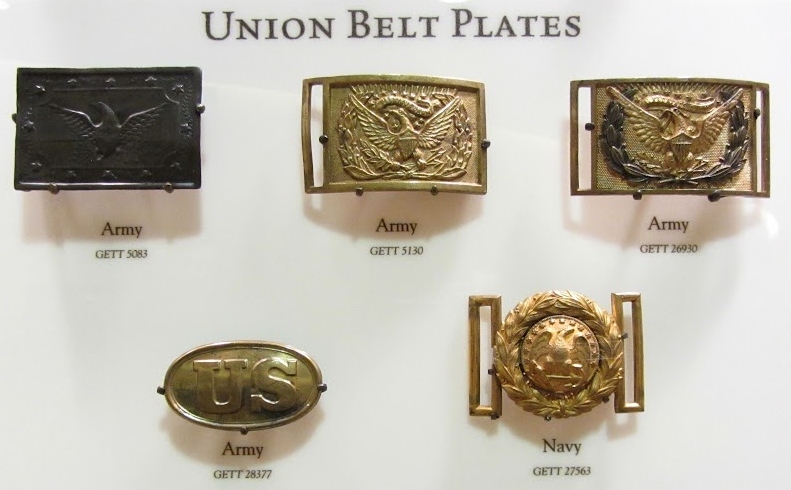 Makes a detailed plate. 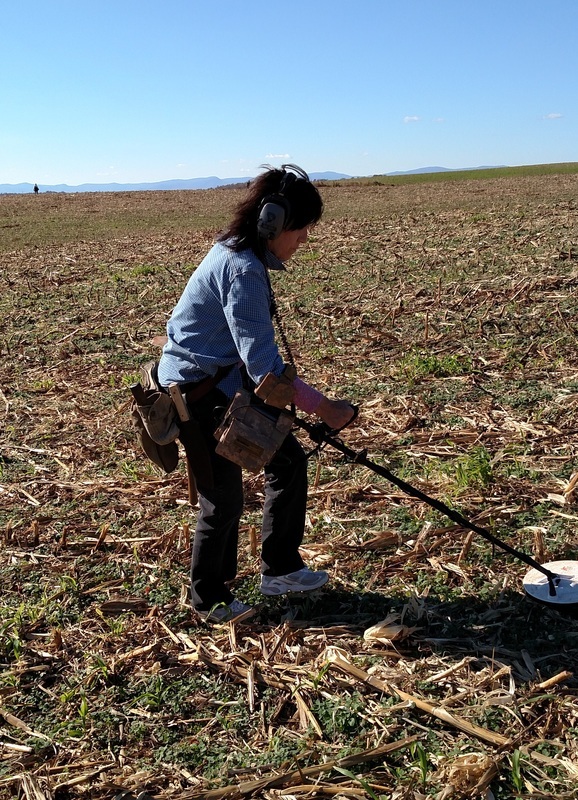 Teresa Williams 11/5/16. 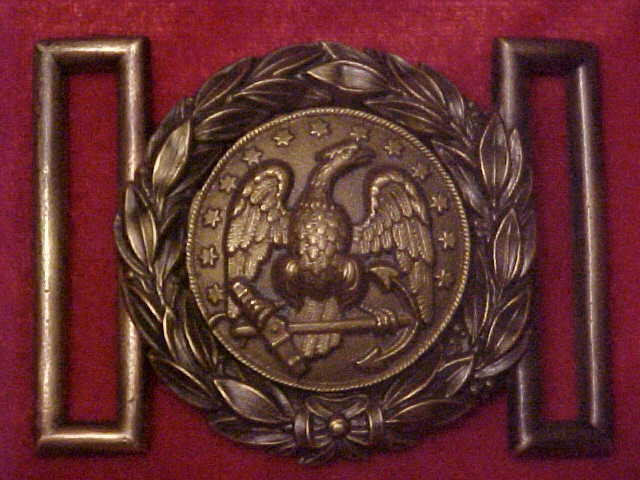 DIV XXXV. 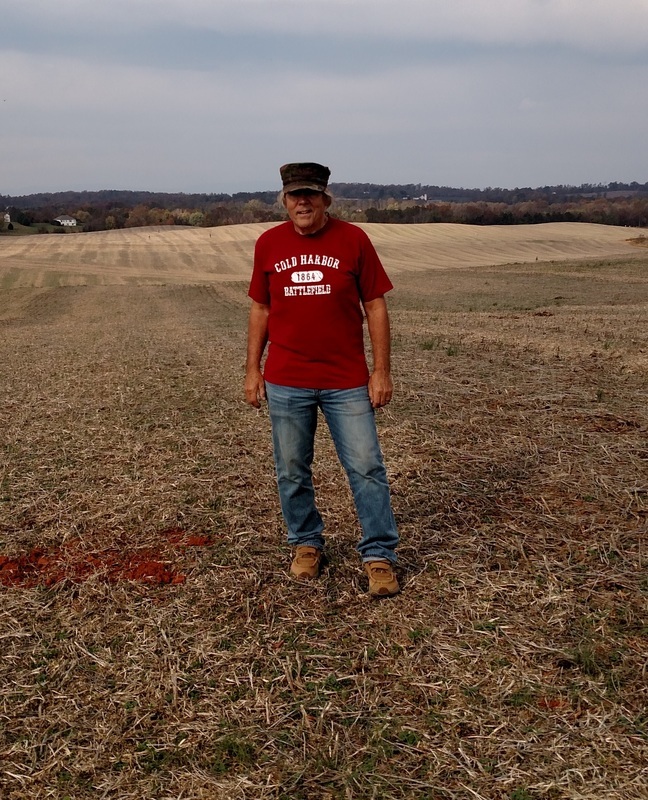 GW at Digging in Virginia XXXV 11/5/16. 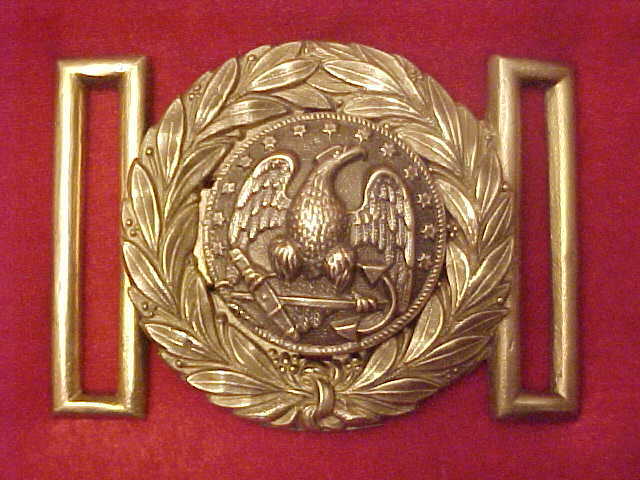 TG-19-Gold Plate Navy Two Piece Belt Plate. 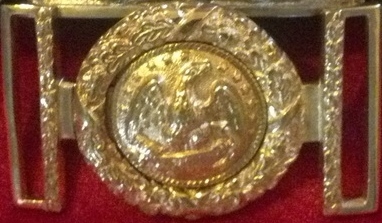 24kt Gold Plate. 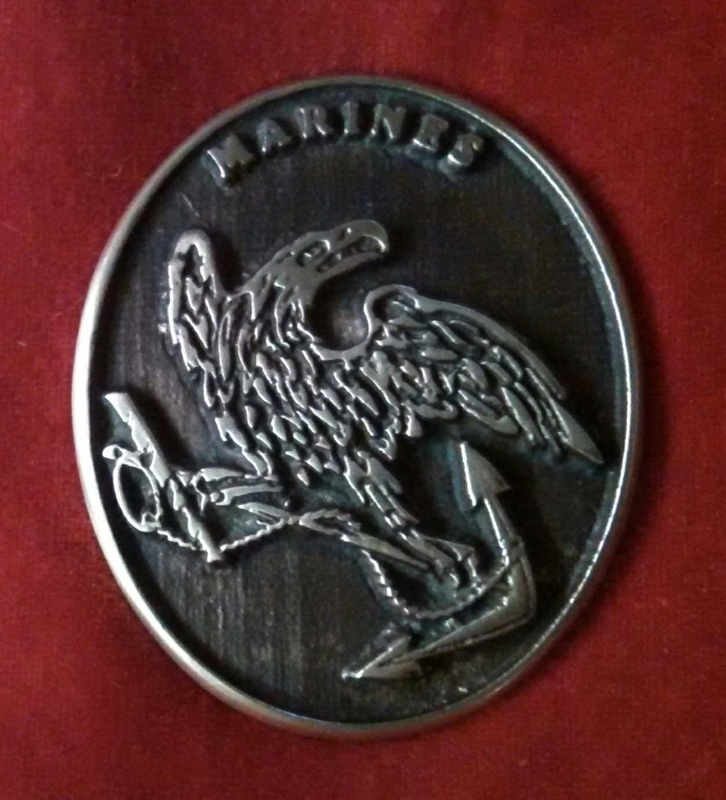 Marine Corps buckle I cast solid brass for a customer. 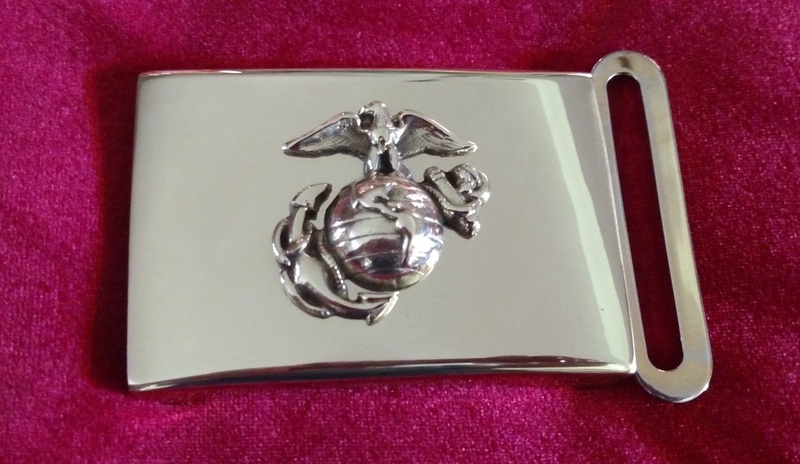 Replaced his anodized original which lost its brass look with wear. 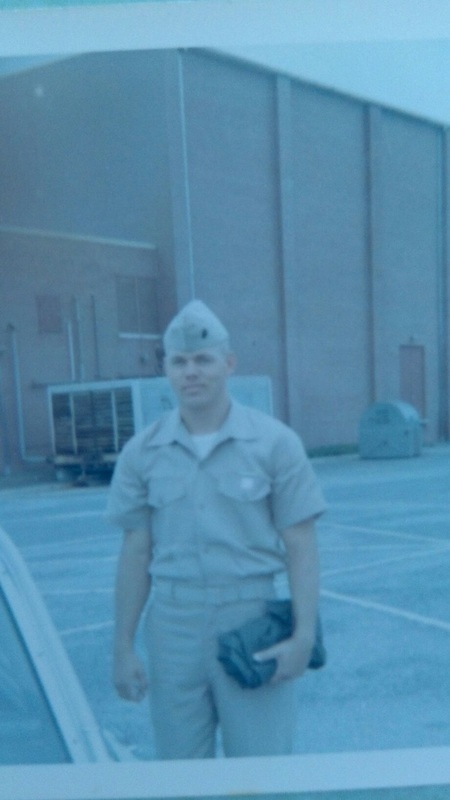 GW, 1966 Parris Island, S.C. graduation day and a Marine. 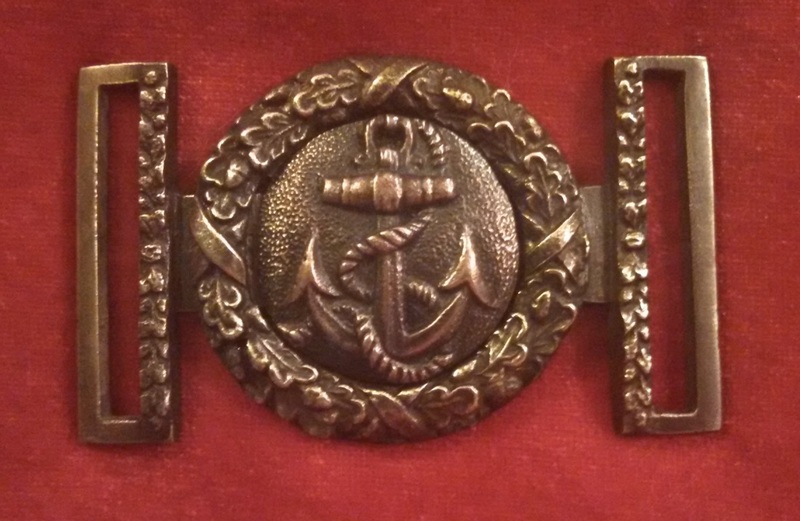 Original Navy two piece on leather belt, same as the T-40. 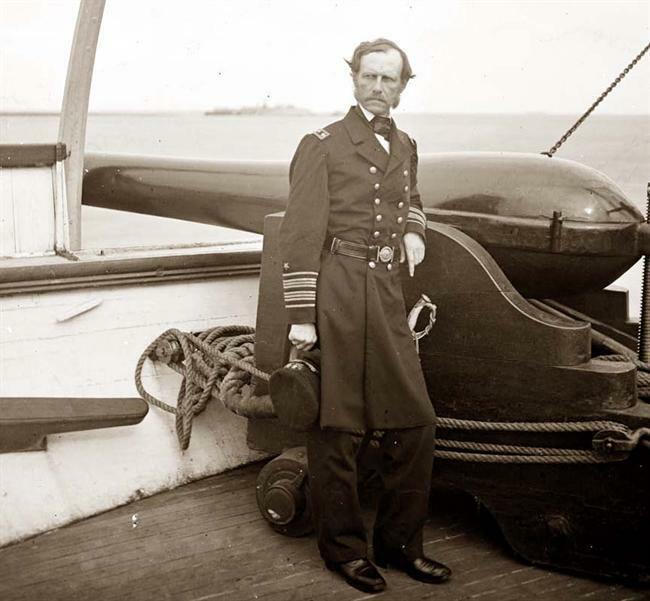 1862 Navy Officer wearing the T- 40 Navy two piece.